Grab hire Essex believes we are the most reliable grab lorry hire company in Essex. We provide grab hire to a wide area for a wide range of customers. We are based in Stansted near the Airport and are able to provide grab hire in Bishops Stortford, Braintree, Chelmsford, Saffron Walden, Epping, Great Dunmow, Harlow, Little Dunmow and Stansted. Our grab hire in Saffron Walden, Epping, Chelmsford, Essex and the surrounding areas is ideal for builders and other property maintenance trades. With the ability to collect any loose rubble and dirt from your driveway or worksite and take it away for you. 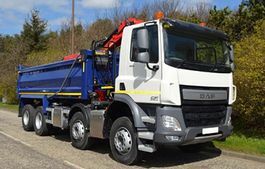 Our grab lorries are able to lift large items into a skip or truck where you would normally struggle by hand. 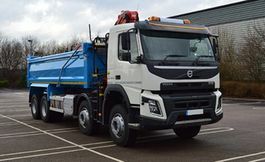 We look for nothing more than to provide the best muck away solutions in your limited time scale all this happens in the largest of the Essex towns. The phone operator will help you to work out the best grab lorry for your project in the Harlow Essex area. If your outside of Harlow and require a grab lorry in Bishops Stortford or even a grab lorry in Epping then just make this clear at the time of booking just saying "Grab lorry hire in Essex". Then our GPS Controlled grab lorry will be dispatched to where you have muck away solutions in limited time scales.